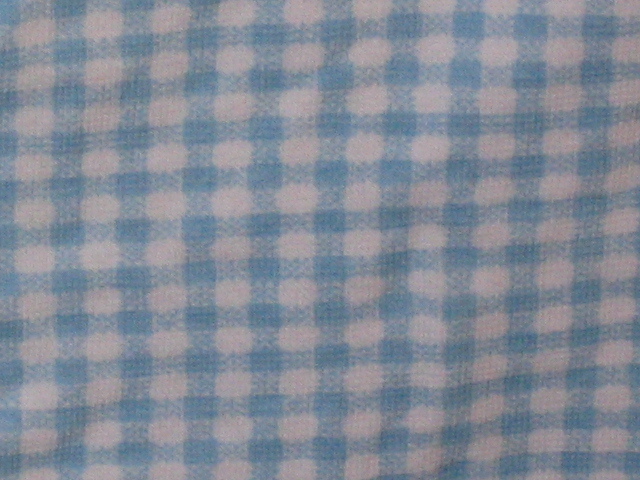 1970s-style American vintage gingham check top. There is a pretty, lacy scalloped edge to the neck, and the ruching ties with a thin white ribbon. 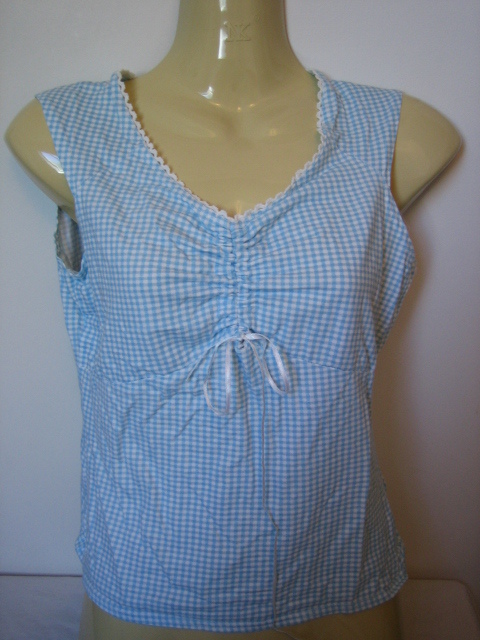 Perfect with denims for those lovely summer days! 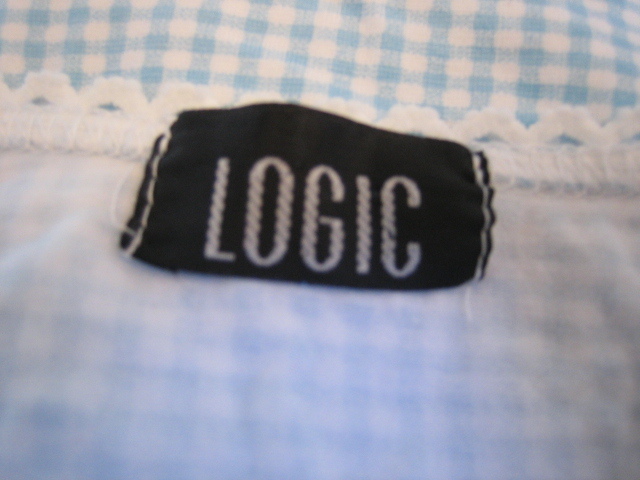 The label in the neck reads 'Logic'. 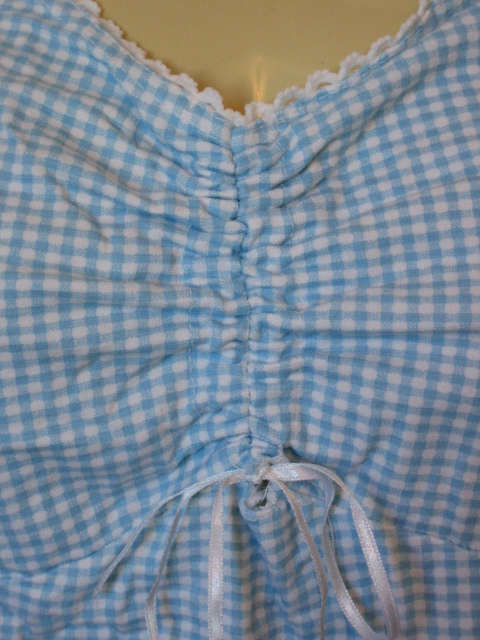 An inside label gives care instructions, and the size: M/L. It is in good vintage condition - worn, but not damaged. 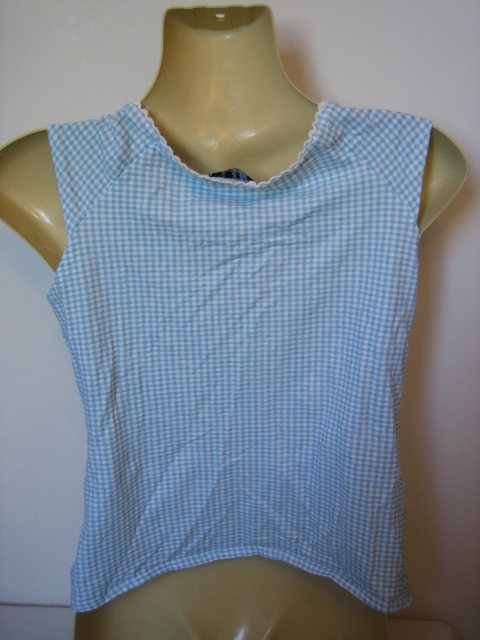 Approximate meaurements are: length of back, 17 ¼ inches / 44 cms, underarms 30 inches / 76 cms - but this is 5% elastane, and designed to stretch to fit!